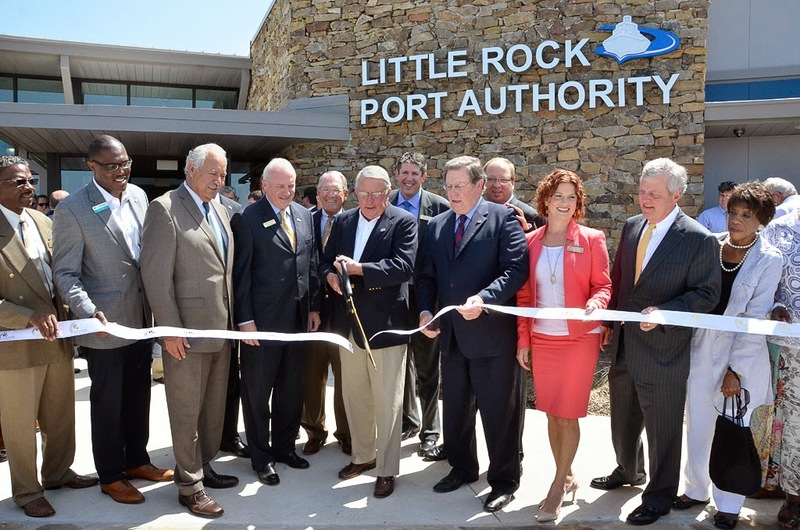 The Port of Little Rock recently opened its new $2.1 million Arkansas River Resource Center, which is predicted to bring future economic development opportunities and more infrastructure along the river. "The Port of Little Rock is an incredible economic engine for the city and it's vitally important to our growth. This new investment is further example of the decades of planning and vision that has made Little Rock a regional powerhouse in industrial and economic development," said Little Rock Mayor Mark Stodola, when the project broke ground last year. 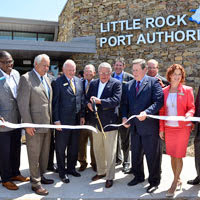 "The ARRC is a key component to the voter-approved $10 million Little Rock Port expansion and the long-term development of the regional McClellan-Kerr Arkansas River Navigation System," said Garver Senior Project Manager Bill Ruck. Garver played an integral role in helping the Port Authority to secure a $960,000 grant from the Economic Development Administration to help build the resource center. Garver also provided the site work on the center’s 4.2 acres.